Maisha Strozier, Ferdousi Akhter, Zainab Akhter, Nazbul Khan and Probir Roy view a photograph of a trafficking survivor at an exhibit held alongside a conference on combating human trafficking in Bangladesh. Combating human trafficking in Bangladesh. More than 330 participants attended a two-day conference in Dhaka, Bangladesh, on the National Plan of Action for Combating Human Trafficking. 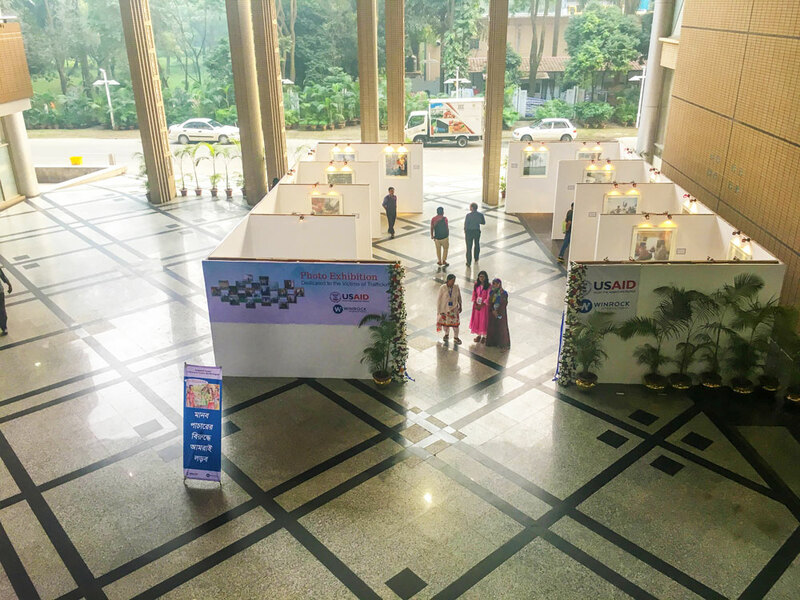 Organized by the government of Bangladesh and the Bangladesh Trafficking in Persons Program (BC-TIP), implemented by Winrock International, the conference featured remarks by USAID Mission Director Janina Jaruzelski as well as the secretary of Bangladesh’s Ministry of Home Affairs. More than 350 people attended an exhibit of photographs featuring survivors of human trafficking. Jaruzelski spoke about the achievements of the 2015-2017 National Plan of Action and urged that there be more awareness-building and better ways of informing potential migrants about TIP and rescue processes in the new, 2018-2022 plan. More than 100 other Bangladeshi government officials attended the conference, which was held November 28-29. Conference-goers viewed this photo of a trafficking survivor. Photo by Misty Keasler. The conference featured an exhibition of photographs dedicated to the victims of trafficking and their reintegration into community life. 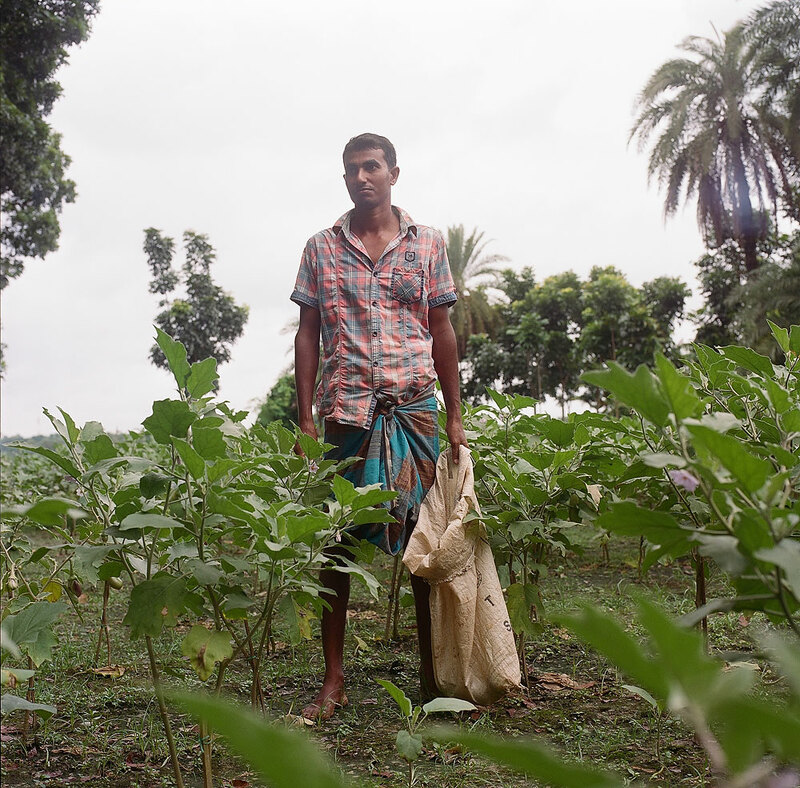 The photos, by photographer Misty Keasler, document the work of the BC-TIP project in Bangladesh.